Size approx: 39cm high x 34cm wide x 7cm deep. 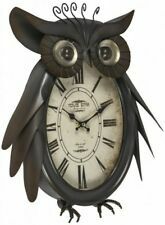 Owl Wall Clock. Rustic Hanging Wall Clock With Rope. 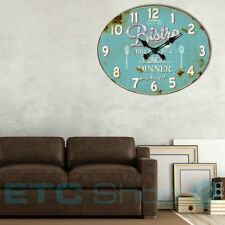 Keep up with the current trend and modern design with this industrial style wall mounted clock. Hanging rope included. This mirror would look great hanging on any wall in any room of the house. Style number LP20184. Lesser & pavey. 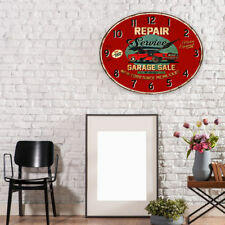 Wall hanging clock. Oval shaped. 2 brass coloured Synthetic dials. Green coloured. Ideal not only for lovers of nostalgic clocks. - Contents: 1 Wall Clock. With many cute and lovingly designed details of great charm. Egg of shells design decoration object porcelain 8x9x9cm. 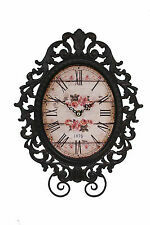 - This decorative fantastically beautiful wall clock is trendy. The device is not carried into the house. You must organise the transport to the place of installation by yourself. 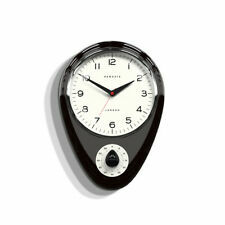 Product type: wall clock. With this watch you give your wall a very special flair.